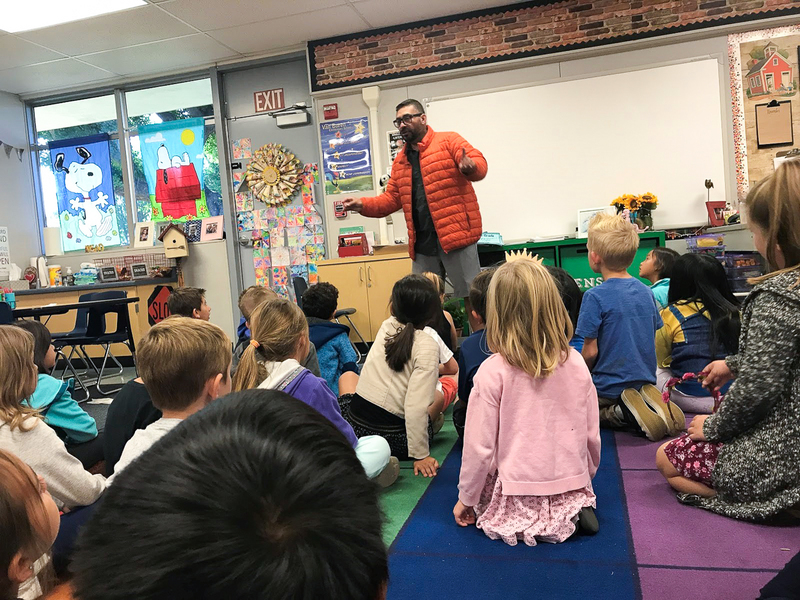 In preparation for the Thanksgiving holiday, Van Buren Elementary School’s plant coordinator, Jorge Fierro (pictured below), entertained first grade students with a dramatic reading of “The First Thanksgiving.” This is a long-standing tradition that staff and students all enjoy. Thanks to Jorge for taking time out of his busy schedule to teach Van Buren students the importance of this national holiday! Later that week, the students also performed in a Thanksgiving play for their parents! Happy Thanksgiving, Road Runners! Be the first to comment on "Van Buren first graders learn about Thanksgiving"